Launch is scheduled to take place in coming weeks. The premium 150cc street fighter, Yamaha MT-15 has made its global debut in Thailand. The previous version was on sale in Thailand for about Rs 1.5 lakhs, ex-showroom. The new one is expected to cost even more. Yamaha MT-15 shares a platform with the fully faired R15 V3.0, and wears a sharp design helped by upside down front shocks, and a digital instrument panel. 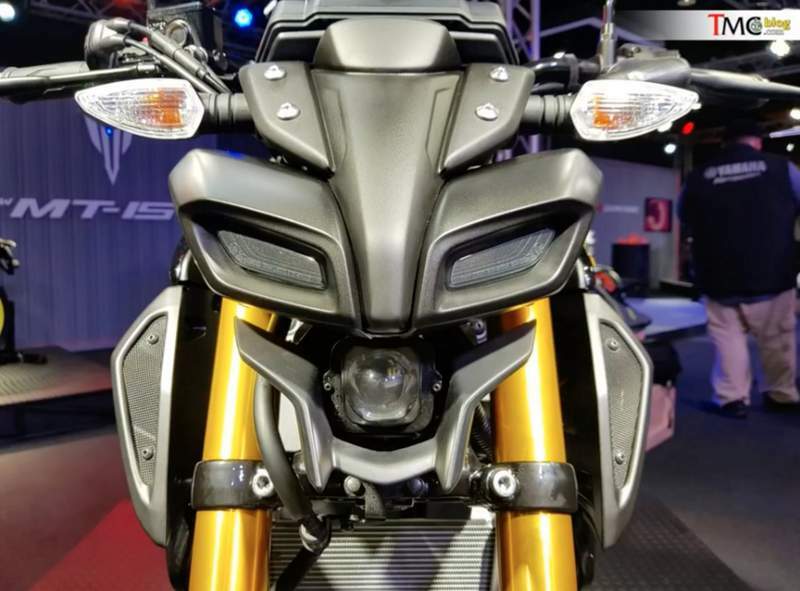 Yamaha MT-15 will be placed below it’s fully faired sibling, and is offers urban riders an upright riding stance. The 155cc single-cylinder liquid-cooled engine uses an electronic fuel injection system to return power of 19.3 PS at 8,500rpm and 15 Nm torque at 7,500 rpm, and is mated to a 6-speed gearbox. Yamaha MT-15 street fighter is compact and stands 1,959 mm in length, 795 mm in width 1,065 mm in height on a wheelbase of 1,350 mm. Ground clearance and saddle height stand at 164 mm, and 805 mm. Fuel tank capacity is 10.2 litres. Yamaha MT-15 kerb weight is 135 kg. Both wheels have a disc brake each. The front tyre measures 110/70-17, and rear 130/70-17. Colour options are matte black, matte grey and silver color. Dual channel ABS is standard. Yamaha India already offers a lot of motorcycles in India in the 150 cc segment. But only the R15 is the top-spec in that. 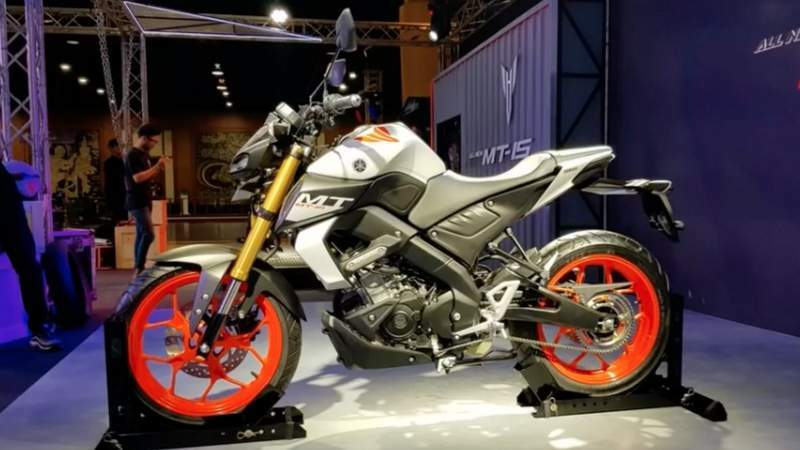 Considering that the MT-15 is based on the R15, it is possible for the company to launch the Transformers face MT-15 in India next year.